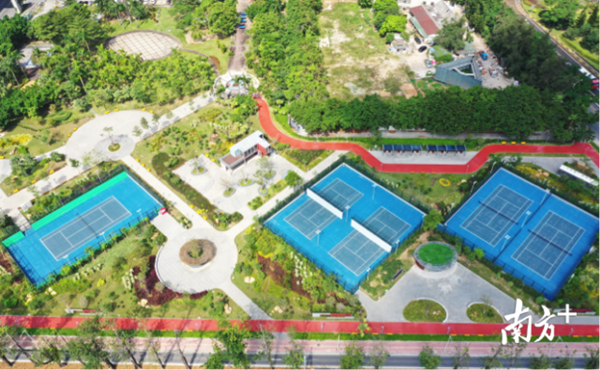 Tennis-themed community parks Zhongzhu (中珠) and Zhongguang (中广) will open to the public free of charge in November with 20 free courts to popularize the sport throughout Zhuhai. 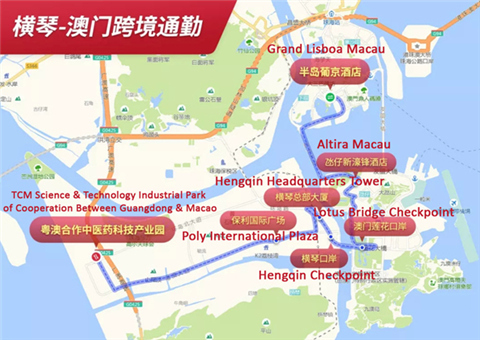 Located southwest of the Qianshan Interchange, Zhongzhu Community Park is near the Intercity MRT Qianshan Station and Qianshan Bus Terminus. 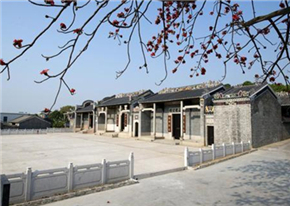 It will serve several neighboring communities including Zhongzhu New Village (中珠新村), Yinshi Yayuan (银石雅园), and Gangdu Garden (港都花园). Zhongguang Community Park is situated northwest of the interchange. Together, the new parks provide two competition terrains, eight training fields, four half-court practice areas, and six children's courts. An additional small practice court will allow players to warm up against the wall. With exception of children's courts, the others are laid out north-south to ensure players are not affected by sunlight. The sides have stepped bleachers. A tennis service center is also in place. 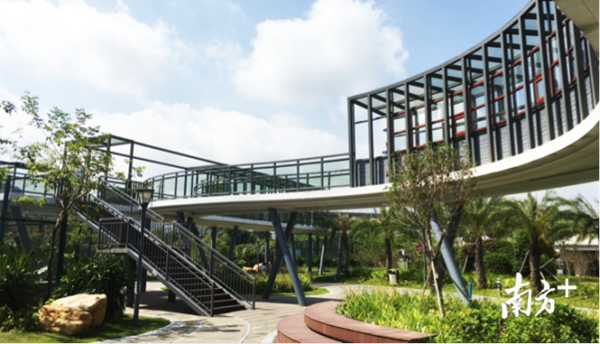 Residents can overlook Zhongzhu Community Park from an elevated sightseeing corridor, which features a dynamic design and is the first of its kind in Zhuhai. 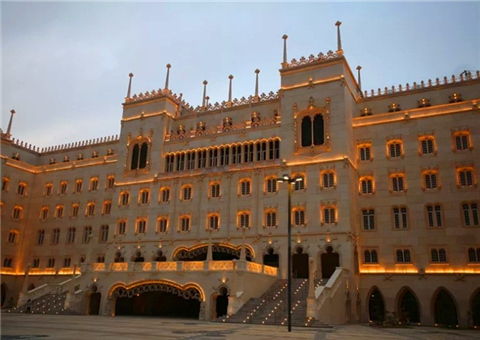 Open hours are from 7 am to 10 pm, and residents can either make a reservation or head directly to the court. 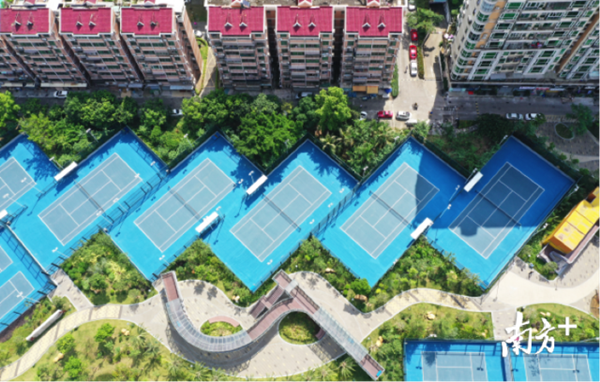 Xiangzhou District already has three tennis courts at Dajing Mt (大镜山) Community Park in New Xiangzhou, one in Zhouzai (洲仔) Community Park near Jiuzhou Port in Jida, and one in the Changshaxu (长沙圩) Community Park in Qianshan. A large-scale community park beneath the Qianshan Bridge also offers a standard and half-sized basketball courts, a soccer court, two badminton courts, and six ping pong tables.